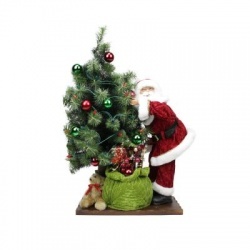 Majestic Santa Claus in his luxurious red suit trimmed with white faux fur and gold lace, stands on a wooden base next to a realistic looking Christmas tree adorned with lights and ball ornaments. In front of the tree lies his soft, quilted green gift bag full of lavish gifts and a brown teddy bear. This Lighted LED Santa Claus with Tree and Gift Bag Christmas Figure with Santa's piercing blue eyes, chubby cheeks, and friendly smile will be a nice addition to your Christmas decor. 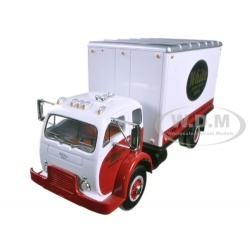 Brand new 1:34 scalediecast car model of 1953 White Super Power 3000 COE Delivery Van 1/34 die cast model car by First Gear. Brand newbox. Rubber tires. Diecast metal construction. Detailed cab interior. Chrome-plated accessories. Detailed undercarriage. Dimensions approximately 8.25"L x 3.25"W x 4.375"H inches. 1953 White Super Power 3000 COE Delivery Van 1/34 Diecast Model Car by First Gear. Shop America’s premier choice for gourmet gifts with this Harry and David $100 Gift Card. From their handpicked fresh fruit to their hand-packed gift baskets filled with delicious treats, they are committed to providing premium quality and excellence in every way. 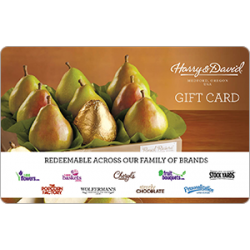 Shop America’s premier choice for gourmet gifts with this Harry and David $50 Gift Card. From their handpicked fresh fruit to their hand-packed gift baskets filled with delicious treats, they are committed to providing premium quality and excellence in every way. 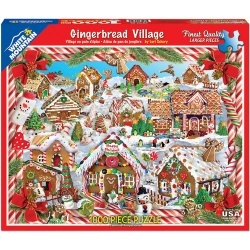 This Gingerbread Houses - Jigsaw Puzzle with 1000 pieces is the perfect pastime for the whole family to enjoy! White Mountains puzzles are known for their thicker, fine quality pieces. This package contains one 1000 piece puzzle. Design: Gingerbread Houses. Finished Size: 24x30 inches. 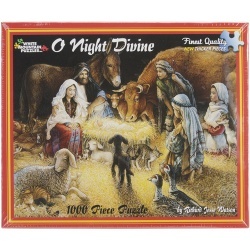 O Night Divine - Jigsaw Puzzle features a brightly colored design, and its 1000 pieces will keep you entertained for hours! This package contains one 1000 piece puzzle. Design size: 24x30 inches. Design: O Night Divine. Let it snow! 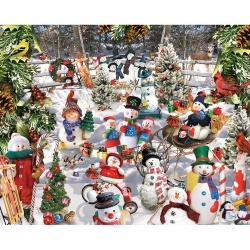 This Snowmen - Jigsaw Puzzle is perfect for anyone who loves to play in the snow and build snowmen. The puzzle itself has 1000 total pieces and finished dimensions are 24x30 inches. Artist: Lori Schory. 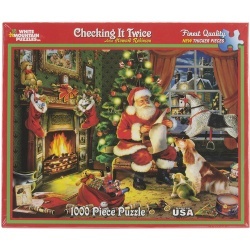 Checking It Twice - Santa - Jigsaw Puzzle features a brightly colored design, and its 1000 pieces will keep you entertained for hours! This package contains one 1000 piece puzzle. Design size: 24x30 inches. Design: Checking It Twice Santa.